Coastal Chic with Forever Ocean Views! 2 bedroom, 2 baths, with full kitchen over looking the Atlantic Ocean. 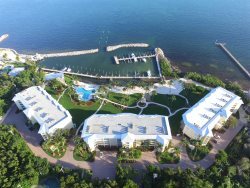 Ocean Pointe ~ This is a resort setting located in the heart of the Upper Keys. Property features include a heated Olympic sized swimming pool, private sandy beach, private cocktail lounge, cafe, oceanfront marina with boat ramp and dockage, lighted tennis courts and oceanfront gazebo, - all situated on 69 lush tropical acres. This condo features two bedrooms, and two full baths. 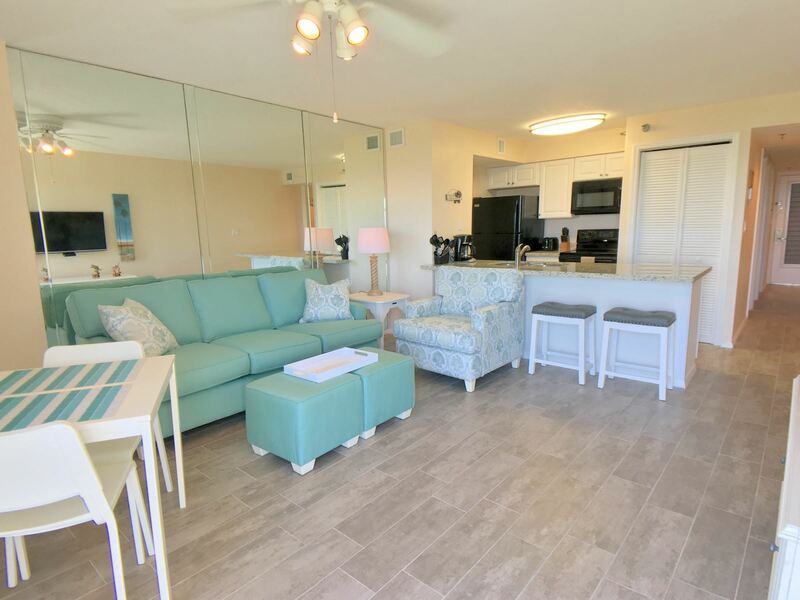 Decorated in elegant island pastels, this 2 bedroom, 2 bath unit has been completely renovated and is waiting for you to start making your vacation memories. Located in the heart of the complex, this unit is located directly opposite of the pool and just minutes from the on-site Cafe and Marina. The ocean vistas are truly gorgeous and provide you with a lovely Keys view from the living area and kitchen. The kitchen is fully equipped and opens in to the living room, providing the perfect spot to gather with friends and family.